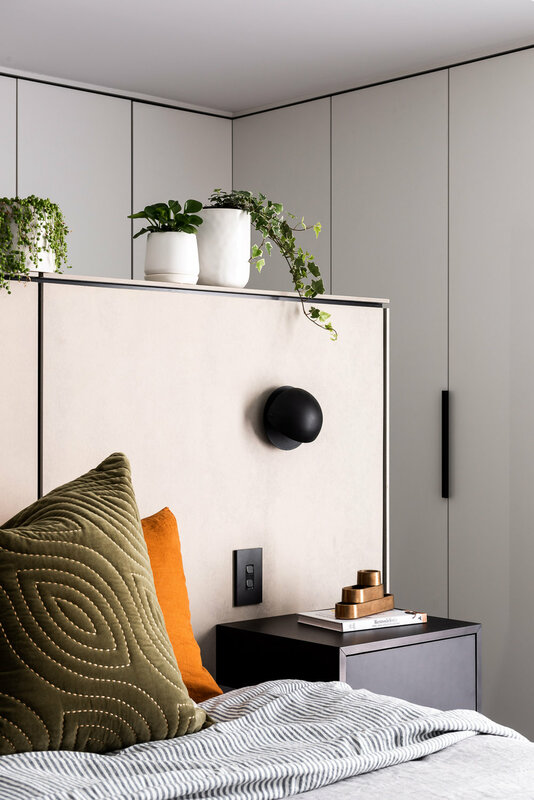 The owners of the project, ‘The Elizabeth’, came to Dalecki Design with the vision of creating a private, master suite where they could seek refuge from the busy family home. The interior of the addition was to be flooded with natural light, taking in views of the backyard wherever possible. The master suite was to be a light, bright space, whilst still maintaining the feeling of a peaceful, hidden retreat. 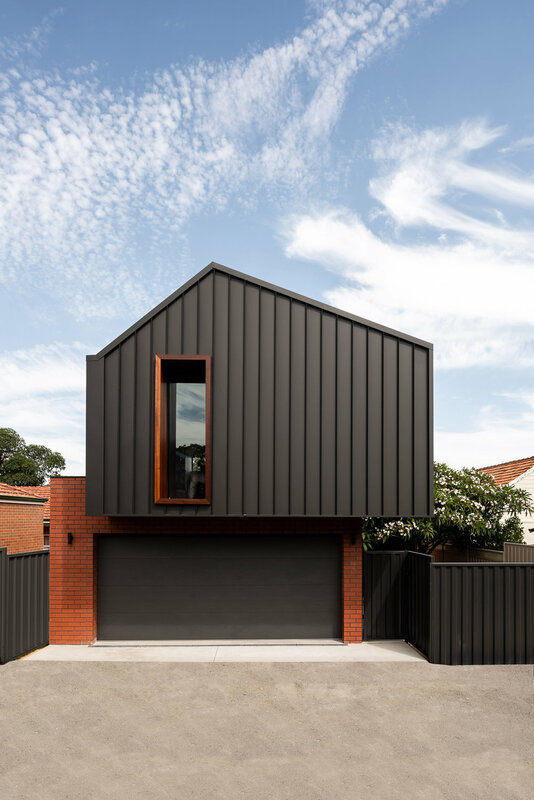 On the contrary, the exterior of the addition was to have a ‘cool’ design aesthetic, with a bold, dark colour palette, inspired by the ‘laneways of Melbourne’. As avid readers, the owners also wanted the additions to incorporate a dedicated reading and sitting nook where they could escape to enjoy time alone with a book. A secondary aspect of the project brief was to create space for secure, off street parking off the rear ROW. In order to meet the brief on an extremely small parcel of available land, Dalecki Design opted for a two-storey addition which would house a private master retreat above an enclosed garage, therefore leaving much of the original backyard for the family to enjoy. Given that a luxurious master suite was the primary objective for the project, this was the driving force behind the design. A small reading nook was designed to bridge the living zone of the existing residence to the new master suite addition. This created an additional, functional space for the family to utilise as a dedicated reading space overlooking the backyard, whilst also serving as a buffer between the shared zone of the home and the new master suite. This deliberate separation, along with positioning the master suite on the second storey of the addition, served to heighten the sense of privacy and isolation of the new retreat, allowing the adults to seek refuge from the hustle of a busy family home. 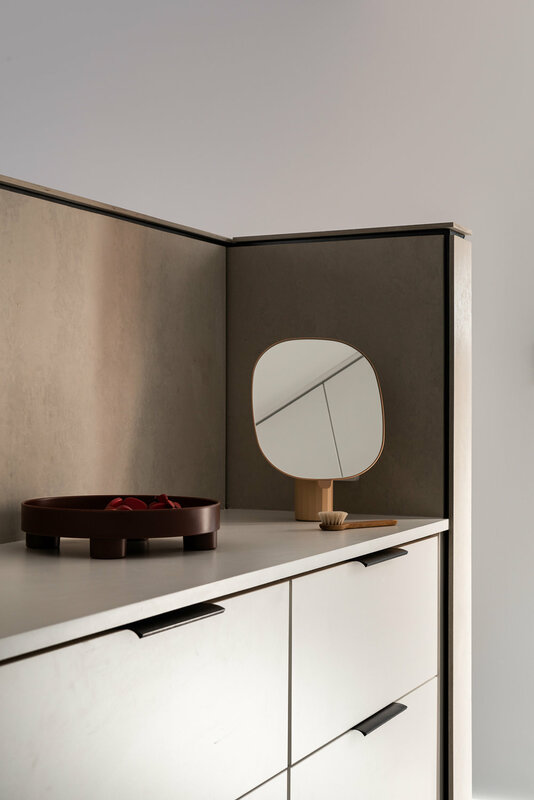 The windows of the new master suite were purposely recessed in with large external window timber lined reveals to create utmost privacy for those within. The overall design of the addition utilised a simple but striking form to contrast the original home and surrounding built environment. With a bold material and colour palette contrasting modern black cladding with traditional red brick, Dalecki Design was able to create the ‘cool’, ‘Melbourne laneway’ inspired aesthetic the clients were seeking. An important factor of the design was being respectful to the original 1900's red brick garage structure on the site that needed to be demolished to make way for the new addition. Therefore, Dalecki Design incorporated red brick into the material palette to pay homage to the original structure, choosing to combine it with black mortar and raked joints for a modern take on the classic material.